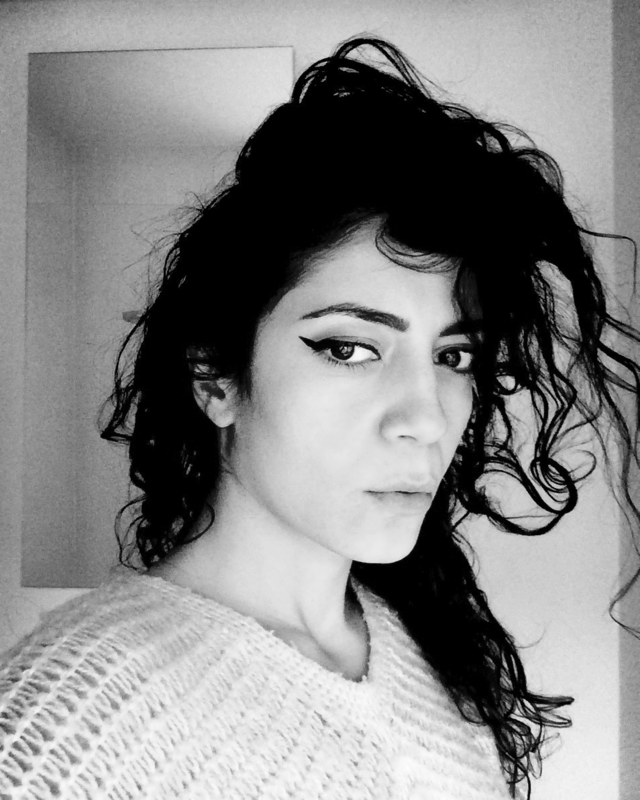 Maryam Monalisa Gharavi is an artist, poet, and theorist whose work explores the interplay between aesthetic and political valences in the public domain. Exhibitions and performances have taken place at: Nottingham Contemporary, UK; Serpentine Cinema, UK; Townhouse Gallery, Egypt; Pioneer Works, U.S.; Sonic Acts, the Netherlands; The Poetry Project, U.S.; Museum of Fine Arts Boston, U.S.; Art Dubai; UC Berkeley Art Museum and Pacific Film Archive, U.S.; and Experimental Media and Performing Arts Center, U.S. Expanded publications have featured in: Triple Canopy, Women and Performance, Ibraaz, The White Review, Art in America, and The New Inquiry, among others. She has been an artist-in-residence at: Wysing Arts Centre, Cambridgeshire; Industry Lab, Cambridge; Delfina Foundation, London; Darat al Funun, Amman; and Mansion, Beirut. She completed a PhD in Comparative Literature and Film & Visual Studies at Harvard University and an MFA in Film/Video at Milton Avery Graduate School of the Arts at Bard College, and held a Fulbright U.S. Scholar/Visiting Professorship at Birzeit University. She was a lecturer at Harvard University, 2013–2017, and has served as a visiting artist/lecturer at New York University; Valand Academy, Sweden; and Cambridge School of Art – Anglia Ruskin University, among others. Book publications include: a translation of Waly Salomão’s Algaravias: Echo Chamber (nominated for the 2017 PEN Award for Poetry in Translation); the poetry volume The Distancing Effect; the illustrated text Apparent Horizon 2; the chapbook Alphabet of an Unknown City (Belladonna*); and in 2018, and in 2018, Bio (Inventory Press). She was editor at The New Inquiry 2012–2017, and is author of the open text South/South.